We are eager to enter the new year with a lot of hope and action. In our lives we have the sons of the new year. Mostly the Christmas tree. This tree that continues to be legendary until the 19th century is fashionable, our people hold our homes, the city centers, the showcases, the schools, the cacophony of new year contact in different locations new year organizations. 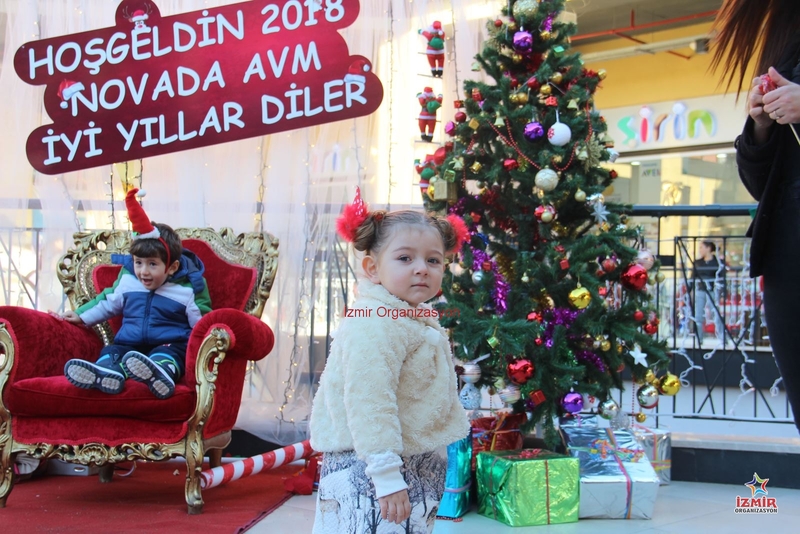 Bayram is decorated like a child prepared to welcome the new year. 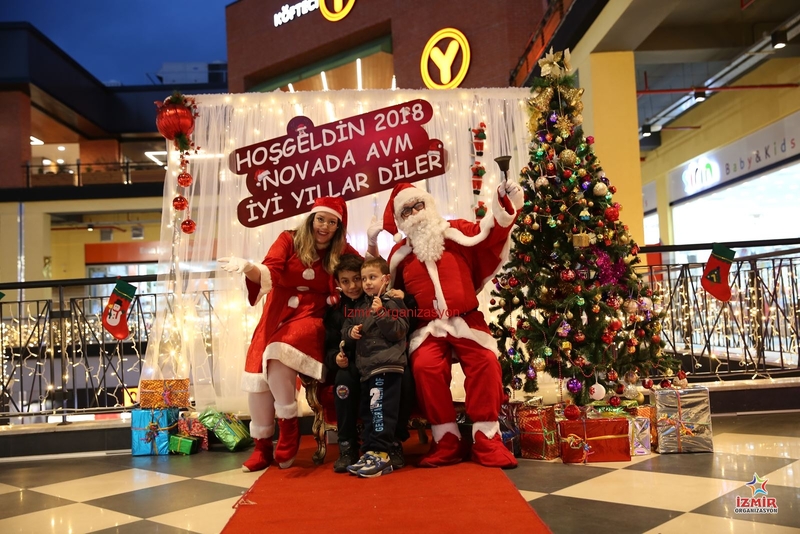 At this point, Novada Menemen Shopping Center has researched and found us. 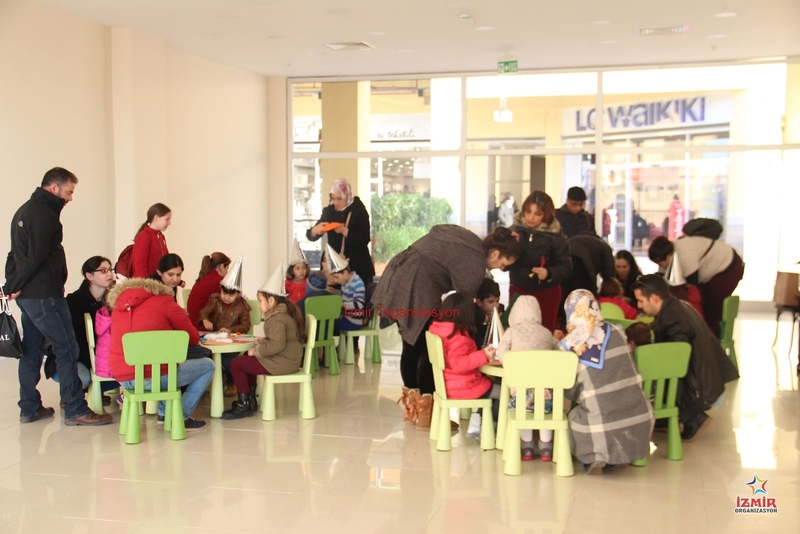 We have signed many beautiful events within the scope of İzmir Organization and we have made a business association with the proud of having done perfect works with the new year organizations. Our team members explained the details of previous videos, photos and events and shaped the activity of the New Year. 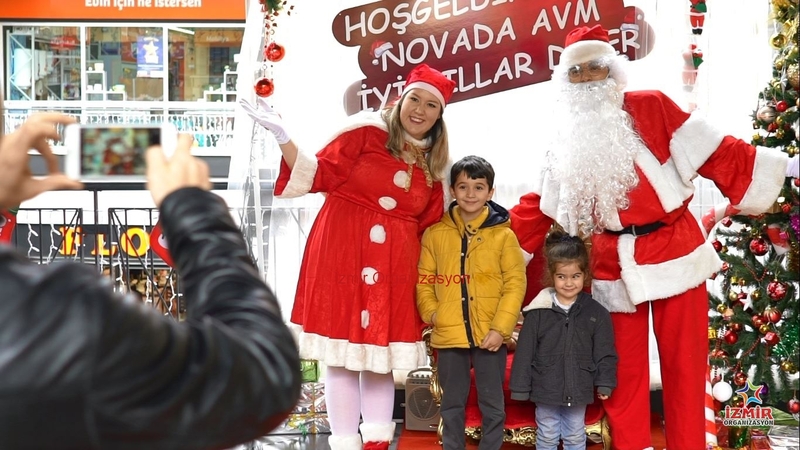 Meeting with the company authorities and decorating the Novada Menemen Shopping Center, they would refresh their hopes in order to make a sound to the customers, to make the new year feel better, to give thanks to the loyalty of the customers and most importantly to appeal to the children. How Does? By concurrent activities on 29, 30, 31 December. The days were approaching and the new year organizations is starting. Our team members completed their preparations by putting a lap on the exciting run-ups in the last days of the calendar. 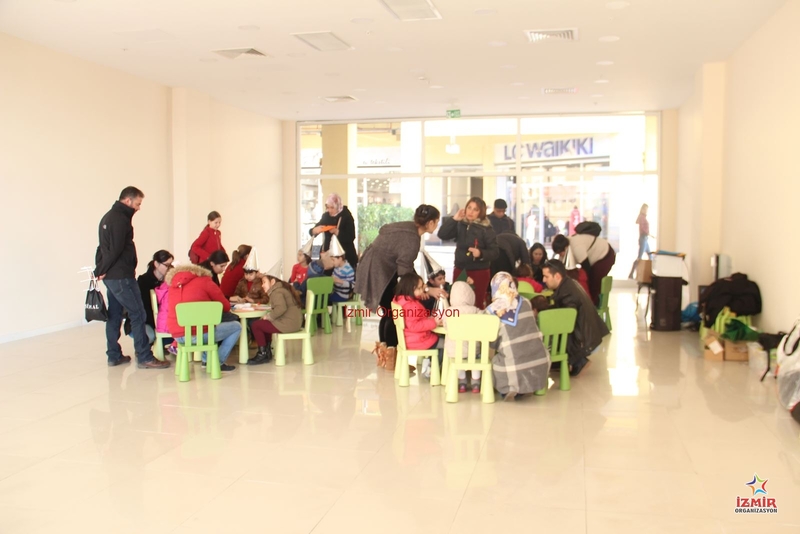 Our 8-person team vehicle had turned their wheels towards the road of Novada Menemen Mall. Friday, December 29th .. The last calendar leaves of the year were describing a very cold air. 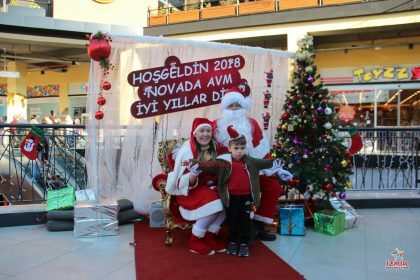 Our flexible and professional team had already come to Novada Menemen Shopping Mall with their first lights in the morning. 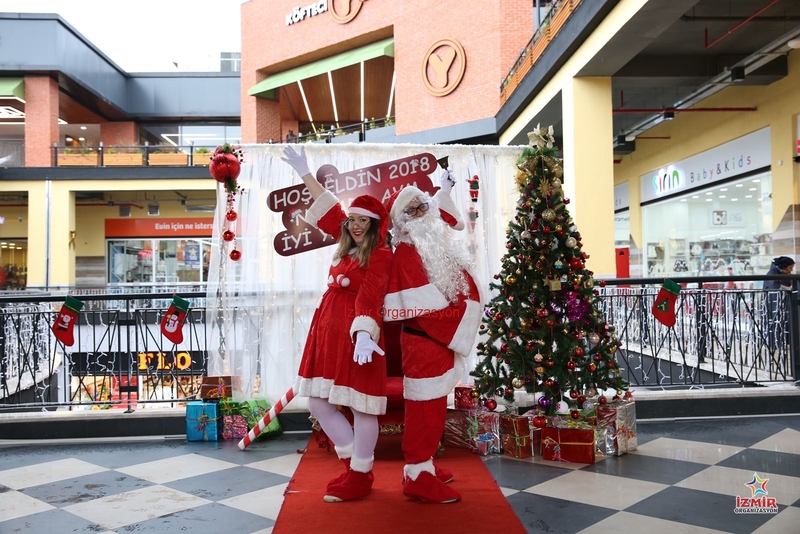 Our team will start by preparing the Santa Claus and Christmas Mother location, which is undoubtedly the focal point of our previous talks and will be the focus of the trip for three days. First we created a wonderful panel with large white tulles and LED lights on the back. The red decal signboard we fixed by fixing it to the roof had already created a contrasting color to the white tulle. It was adorned with tiny christmas father figures and giant, round and shiny balls, fitting to the new year’s base with fluid spines. 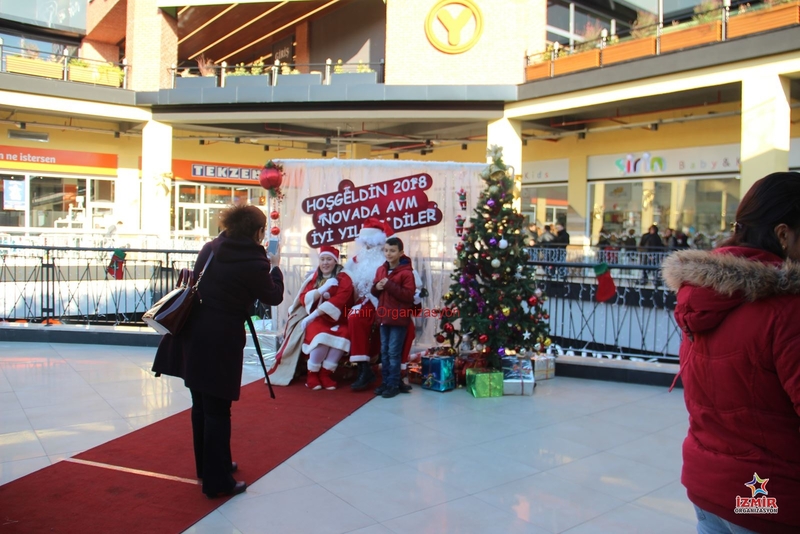 In order to prepare the seat to take pictures; the décor bordered ornaments that accompanied our velvet red seat were mounted exactly on the red carpet, fitting the voyage of the Novada Menemen Shopping Center. We will prepare it with the carefully selected ornaments we have designed before, and the preparations will be completed by embellishing the two-meter tree. Back to the preparation of Santa Claus and Christmas Anne. In our New Year’s event, the most curious part of the live performances was a minute away. Our team of friends had filled the red costumes, huge navelies, buckets, and cane sugar and new year’s hat for the kids. 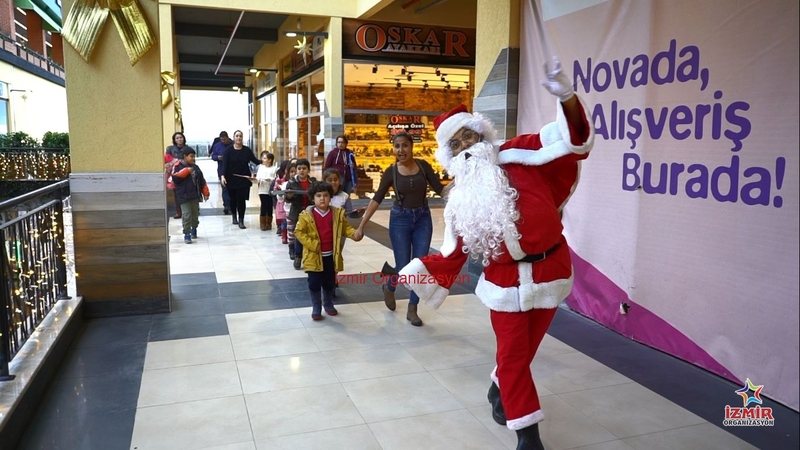 Christmas songs began with the final sound, Santa Claus and Christmas Mother Our new year activity organization with moms dancing. 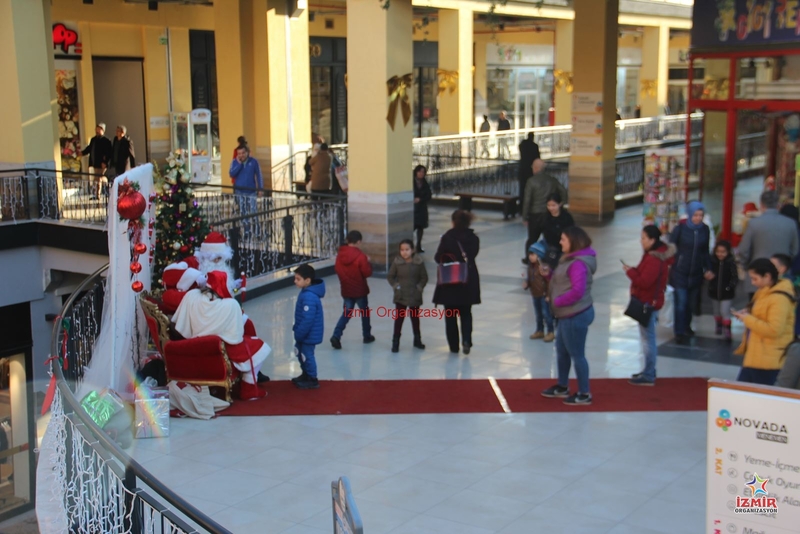 The second of the simultaneous activities, the tiny ones met with the indispensable Santa Claus of the new year. On the 29th, 30th and 31st of December, between 16.00 and 21.00, the children had the chance to chat with Santa Claus and Christmas Mother and they added photographs to unforgettable memories. Decorated with hats distributed in our New Year event organization, they have the opportunity to sweeten their mouths with cane sugar. The three-day event is our new year’s event organization and the other one is the workshop activity for children. In their workshop with their parents, they decorate the calendar of the year 2018 to hang them in their rooms by felting, dyed, colored snowmen, pine trees, handcraft papers and raffles sticking their own decorative deco. On the second day of the workshop, we made Christmas cookies with the little ones. The imaginative powers and motor skills of the children sticking sugar dough on the cinnamon and crumb texture have been overtaken and we put imaginary names on them and pasted them with labels. On the last day of our workshops and calendars, the little boys prepared a greeting card for their loved ones.On the last day of our workshops and calendars, the little boys prepared a greeting card for their loved ones. The guys who made the snowman figure on the greeting cards from cotton were wonderful and had a well equipped clock. It was worth seeing the little ones who took the hand of their Christmas dad and took pictures with them. 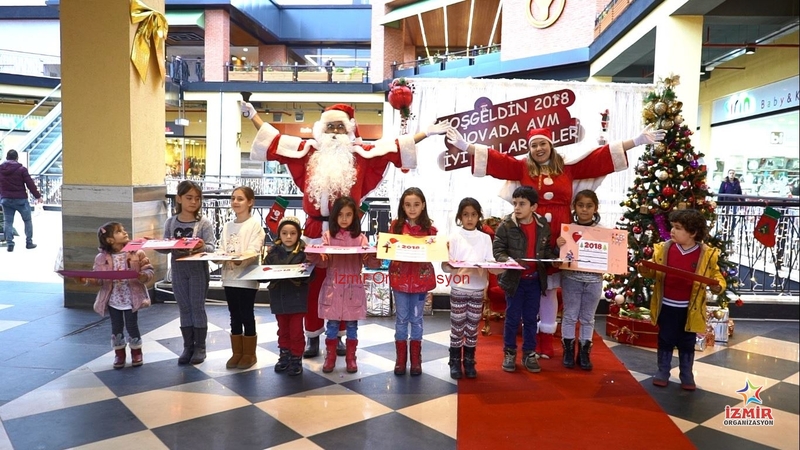 At the end of a new year’s event organization, as the İzmir Organizasyon family, we would like to express that we owe our delightful tiredness to the smiley faces of children and that everyone will pass through the year 2018 with peace, health and happiness.